On Wednesday, 10th October 2018, BU staff had an opportunity to find out more about current EU funding opportunities. Delivered by BU institutional representative in Brussels, Andreas Kontogeorgos, presentations covered such topics as Brexit, forthcoming ICT calls, COST Actions and MSCA Innovative Training Networks. Presentations are now available on Brightspace. Please navigate to UKRO 2018 section to access all presentations. If you have an interest in applying to Horizon 2020 and other European funding, please make full use of BU’s subscription by registering to receive updates from UKRO. On UKRO website, you can access subscriber-exclusive support materials including news, call fact-sheets and UKRO events. BU staff considering applying for any of these calls and other international funding, should contact international research facilitator Ainar Blaudums or other RKEO’s representatives at their faculties, for further information and support. As previously announced, RKEO will host seminar on EU funding opportunities (FG06, Talbot Campus, Fusion Building) on 10th October 2018. Sessions will be delivered by European Advisor of the UK Research Office Dr Andreas Kontogeorgos. Please register to allow us to order lunch and refreshments for all attendees this week. Sessions will commence at 11:30 with an update on Brexit, followed by a networking lunch. In the afternoon there will be a review of future ICT-related calls and more detailed overview of the COST Actions and Marie Curie training networks (MSCA ITN) funding schemes. P.S. If you were unable to register, (quiet) drop-in to any separate session will be accepted. Through BU’s subscription to UKRO, we have been advised of the following news items, which represent a ‘mere taster’ of all the updates provided by UKRO to their members. On 14 December 2017 a policy brief was published by the Economics of Industrial Research & Innovation (IRI), a scientific project carried out within the European Commission’s Joint Research Centre (JRC). This document is intended to contribute to the discussion on post-2020 policies and subsequent preparation of the ninth Framework Programme (FP9). The aim is to discuss the research, business and policy challenges for the decade to come and provide guidance to the EU’s industrial research and innovation policy agenda. You can read the full UKRO article about it here. The Government has recently answered a Written Question​ on the steps taken by the Department for Business, Energy and Industrial Strategy (BEIS) to encourage UK researchers to continue to make bids for Horizon 2020. This answer makes reference to the recently agreed Joint Report and the future participation of the UK in Horizon 2020. “The Government wants the UK to be the go-to place for scientists, innovators and tech investors across the world. We intend to secure the right outcome for the UK research base as we exit the European Union. The Joint report from the negotiators of the European Union and the United Kingdom Government published on 8 December stated that UK entities’ right to participate in EU programmes will be unaffected by the UK’s withdrawal from the EU. This means that UK based organisations and individuals will be able to bid for funding, participate in and lead consortia, in 2019 and 2020, and will continue to receive funding for the lifetime of the project. The UK Research and Innovation China representative office, in cooperation with UKRO, has prepared a briefing on opportunities for collaboration with Chinese organisations in Horizon 2020. Summary Note from the European Researchers’ Night Information Day. On 14 December 2017, the European Commission hosted the NIGHT Info Day – an opportunity to learn about the novelties and the main features of the European Researchers Night action. The European Researchers’ Night, funded under the Marie Skłodowska-Curie actions, is a Europe-wide public event which aims to enhance researchers’ public recognition, and to stimulate interest in research careers, especially among young people. Presentations from the day can be found here. Please note: You will need to sign in or register, as a BU staff member, to access many of these items, as part of BU’s UKRO subscription. Links have only been given to resources in the public domain. If considering applying to EU calls, please contact your Research Facilitator to access further support. Organised by the European Commission Directorate General for Research and Innovation, in cooperation with Directorates General for Education and Culture and for Communications Networks, Content and Technology. The conference will showcase the dialogue between contemporary European society and the most promising innovations in the field of cultural heritage that European policies and funds have supported. The sessions will highlight policy, social, technological, methodological innovations and new, promising alliances around cultural heritage. The high-level speakers of the conference will discuss policy developments, success stories and future challenges. UKRO is pleased to announce that the UKRO Conference 2018 will take place on Thursday 21 June and Friday 22 June 2018 at the National Oceanography Centre (NOC) in Southampton. Subscribers are invited to note and save the date. More information on registration will be provided in due course. UKRO have published an article on all the latest information on the recent and planned developments on the Research Participant Portal. This update includes information about the New Partner Search Tool and the H2020 Dashboard. On 30 November 2017 the European Commission published a report on the achievements of the Erasmus+ Programme during 2016, its third year of implementation. The report’s publication coincided with the closing day of the 30th anniversary of Erasmus+ celebrations. 2017 has seen hundreds of thousands of people in over 44 countries gather to celebrate what Erasmus means to them. If considering applying to EU calls, please contact your Research Facilitator, to access further support. UKRO Annual Visit to BU – 8th November 2017 – TODAY! As subscribers to the UK Research Office (UKRO), Andreas Kontogeorgos will be leading our UKRO annual visit on Wednesday, 8th November 2017.This meeting has been timed to coincide with the release of the Work Programmes for 2018-2020, giving attendees opportunity to hear all the latest news with the benefit of UKRO’s detailed knowledge and insights. All BU staff can access the UKRO site. If not registered, why not sign up now to ensure that you get the latest news delivered to your own inbox? UKRO Annual Visit to BU – 8th November 2017 – final call for bookings! As subscribers to the UK Research Office (UKRO), Andreas Kontogeorgos will be leading our UKRO annual visit on Wednesday, 8th November 2017. This meeting has been timed to coincide with the release of the Work Programmes for 2018-2020, giving attendees opportunity to hear all the latest news with the benefit of UKRO’s detailed knowledge and insights. The sessions for BU academics will commence at 11:30 with a discussion of the implications of Brexit and how UKRO can assist with European funding applications. After a networking lunch, there will be a review of the highlights of the new 2018-2020 Work Programmes for Horizon 2020, which have just been released. The final open session will consider Industrial Collaboration within H2020. Attendees are welcome to drop in to sessions that are most relevant to them. There are also a number of 15 minute 1-2-1 sessions available with Andreas – here, you can discuss your European funding plans and ambitions with him. Please email Dianne Goodman, to book these separately to the main event. Bookings for this event are now open to BU Staff and, so that catering can be arranged, confirm attendance by Friday, 3rd November. Is it worth applying for all this new Horizon 2020 funding, then? Recipients of updates from this blog will have, no doubt, seen updates concerning the many new funding calls arising as a result of the release of the Horizon 2020 Work Programmes for 2018-2020. With current uncertainties, is it worth UK-based researchers applying, especially following the announcement on the Participant Portal that the eligibility criteria must be complied with for the entire duration of the grant (i.e. the researcher’s country of application being either a member or associate country to receive the funding)? 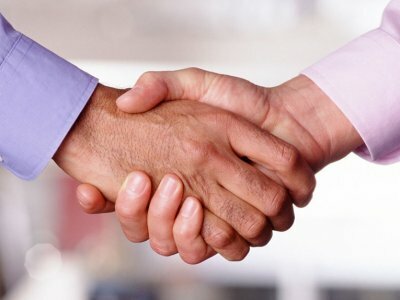 The UK Research Office (UKRO) however, has reminded the sector via their website’s public area that – UK businesses and universities should continue to bid for competitive EU funds while we remain a member of the EU and we will work with the Commission to ensure payment when funds are awarded. The Government will underwrite the payment of such awards, even when specific projects continue beyond the UK’s departure from the EU. In the FAQ document, it is stated that even if UK partners cannot continue to receive funding from the European Commission because the UK has become a third country, the UK Government has guaranteed funding for successful bids submitted by UK participants before departure, including those that are successful afterwards. Third country participation is routine in Horizon 2020. It should also be noted that Horizon 2020 has always been open to Third Counties; it is the access to funding that may not be available unless it is a stipulation of the call, where the country is associated with the EU (Norway, for example) or where there is a specific provision in place. With many calls having a closing date before the expected date of the UK exit, information about calls, info days, brokerage events etc., will continue to be posted on this blog, in anticipation of BU staff applying for funding to support their excellent research. BU staff can register to receive their own updates from UKRO. 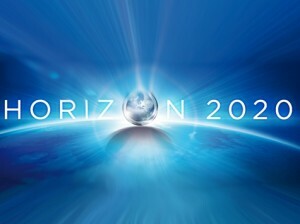 BU staff considering applying for any of these Horizon 2020 calls and other international funding, should contact Emily Cieciura, RKEO’s Research Facilitator: International Funding, for further information and support. 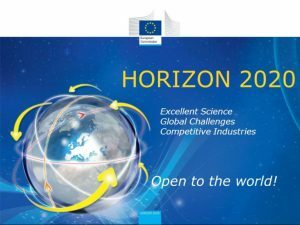 The Horizon 2020 Work Programmes for 2018-2020 were published on 27/10/17, with some calls already open or due to open before the end of 2017. You can search for relevant calls via the Participant Portal Funding Opportunities. Here, you can search by keyword, or if you know the scheme, drill down through the hierarchy. Once you see the call required, you can access essential information about the context and requirements for the call. To see all the Work Programme documents in one place, just click on the link to the 2018-20 Work Programmes in the Reference Section. 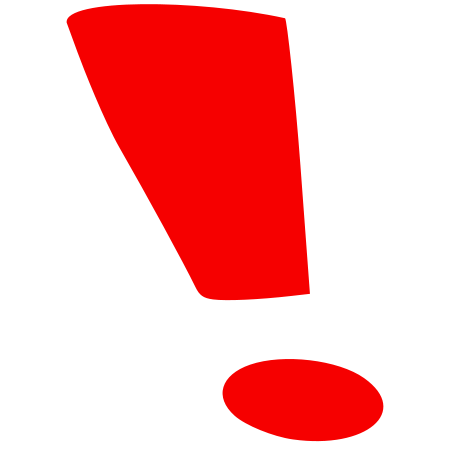 Please watch out for further announcement on this Blog regarding open calls with closing dates in the coming months. As subscriber to the UK Research Office (UKRO), BU staff can access factsheets and receive email updates. Please sign up to this service and consider attending the UKRO annual visit on 08/11/17. The sessions for BU academics will commence at 11:30 with a discussion of the implications of Brexit and how UKRO can assist with European funding applications. After a networking lunch, there will be a review of the highlights of the new 2018-2020 Work Programmes for Horizon 2020, which have just been released. The final open session will consider Industrial Collaboration within H2020. There are also a number of 15 minute 1-2-1 sessions available with Andreas – here, you can discuss your European funding plans and ambitions with him. Please email Dianne Goodman, to book these separately to the main event. If you cannot make this date or cannot wait, there is a short briefing on the 2018-2020 Horizon 2020 Programme on Thursday, 2nd November. BU staff can, of course, attend both events. As subscribers to the UK Research Office (UKRO), we are pleased to announced that our annual visit will take place on Wednesday, 8th November 2017. The sessions for BU academics will commence at 11:30 with a discussion of the implications of Brexit and how UKRO can assist with European funding applications. After a networking lunch, there will be a review of the highlights of the 2018-2020 Work Programmes for Horizon 2020, which are due to be released at the end of October. The remainder of the afternoon’s programme will be announced as soon as agreed with Andreas Kontogeorgos, our UKRO contact point. Bookings for this event are now open to BU Staff. UKRO ERC Synergy Grant Information and Proposal Writing Events. In its capacity as UK National Contact Point for the European Research Council, the UK Research Office, in partnership with University College London (UCL), is holding an event for researchers who are interested in applying for the 2018 ERC Synergy Grant call, at UCL in London on Wednesday 20 September 2017. For more information and to register a place see the Event on UKROs website. Information Days on 2018-2020 Horizon 2020 Calls for Proposals. The following information days are taking place in Brussels for the last H2020 work programme. For more information and to register follow the links below. Societal Challenge 2 – UK Information & Brokerage Event on the 2018-20 Work Programme. Innovate UK and the Knowledge Transfer Network are hosting a Horizon 2020 Societal Challenge 2 (Food security, sustainable agriculture and forestry, marine, maritime and inland water research and the bioeconomy) event which is aimed at supporting collaboration across the UK and Europe. 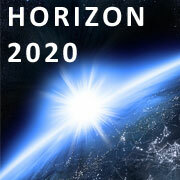 The event will be used to promote relevant funding opportunities available under Horizon 2020. Call for Tenders: Study on the IP Implications of the Development of Industrial 3D Printing. 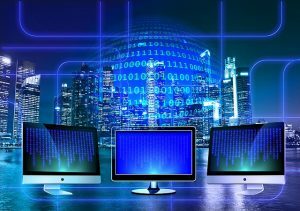 The European Commission Directorate-General for Internal Market, Industry, Entrepreneurship and SMEs has launched a call to analyse and clarify how the existing IP framework concretely brings protection to IP rights holders, and to identify possible gaps and opportunities, or need for clarification. Horizon 2020 SC6 Consortium Building Workshop in Brussels. 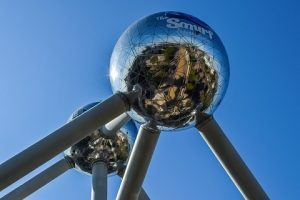 Several Brussels-based RTD liaison offices from EU Member States and H2020 Associated Countries will jointly organise a one-day Consortium Building Workshop around selected topics of the upcoming Work Programme 2018-2020 of the Horizon 2020 Societal Challenge 6 (Europe in a changing world – Inclusive, innovative and reflexive societies). The draft agenda is available on the registration page. If considering applying to EU calls, please contact Emily Cieciura, RKEO’s Research Facilitator: EU & International, to access further support. UKRO will be hosting ERC Advanced Grants and Proof of Concept events in London on 18/05/17 and Manchester (Advanced Grants only) on 24/05/17 – Register via the UKRO site with free places on a ‘first come, first served’ basis. Find out more about the European Research Council on their dedicated website and the support of the European Commission that they enjoy. Framework Programme 9 (FP9)planning is well underway with public consultation expected in July 2017 – for further news, please refer to the UKRO website or contact RKEO. 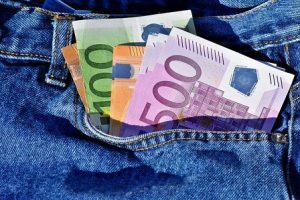 The recent European Parliament Report may also give indications of future direction. Science With And For Society (SWAFS) Brokerage Event Presentations and Video are now available on the UKRO website. eHealth Week 2017 will have the theme Data for Health: the key to personalised sustainable care – Register for this event in Malta, 10-12 May. Draft documentation for Secure Societies future calls is available to UKRO subscribers. Please note: You will need to sign in or register as a BU staff member to access many of these items, as part of BU’s UKRO subscription. Links have only been given to resources in the public domain. UKRO is the European office of the UK Research Councils. It delivers a subscription-based advisory service for research organisations (in the main UK HEIs) and provides National Contact Point services on behalf of the UK Government. UKRO’s mission is to maximise UK engagement in EU-funded research, innovation and higher education activities. As part of BU’s subsciption to UKRO, we receive regular updates, some of which are shared below, along with relevant items from other sources. 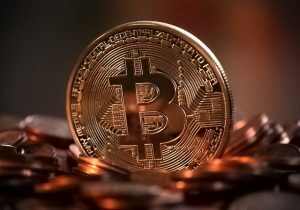 As this blog is open to external users who may not be UKRO subscribers, however, there is only a limited amount that can be placed on this blog. If you would like to receive announcements concerning EU funding direct to your own inbox, BU staff can register on the UKRO website. Scoping papers for the Horizon 2020 Work Programme for period 2018-2020 are available on the UKRO website – only registered members can access these. UKRO have set up a dedicated page on their site gathering together all the relevant Brexit information for researchers to share, perhaps, with partners who may have concerns about the UK situation in research applications – only registered members can access these. ​Registration is now open for the first Raw Materials Week, which will take place in Brussels from 28 November to 2 December 2016. The event includes an information and brokerage event on Horizon 2020, EIT Raw Materials and ERA-MIN 2 calls, which is scheduled for the afternoon of 30 November. The German Federal Ministry of Education and Research (BMBF) is organising a workshop on the topic of ‘Secure Societies: Unlocking Innovation. New Classes of Solutions for a Changing Threat Landscape.’ The workshop will be held on 8-9 November in Brussels. More information on the workshop, including an invitation letter, registration form and preliminary agenda can be found on the event webpage. The event is free of charge to attend, but registration is required and should be completed by 1 November. ​The Enterprise Europe Network Annual Conference 2016 will be held in Bratislava, Slovakia, from 14 to 16 November 2016 under the auspices of the Slovak Presidency of the Council of the European Union. Further information including a programme outline can be found on the event page. The European Commission’s Directorate General for Communications Networks, Content and Technology is organising an Information Day in the area of ICT Research & Innovation supporting the Creative Industries and Cultural Heritage. The event will take place in Luxembourg on 17-18 November 2016. Registration via the event web page is free of charge, with registrations accepted on a first-come-first-serve basis. ​The European Commission and the European Institute for Gender Equality (EIGE) have created a new tool, GEAR, to support research communities in implementing gender equality policies. The European Commission signed an Implementing Arrangement with the USA, allowing American legal entities to work with Horizon 2020-funded consortia outside of the scope of the Horizon 2020 grant agreement. Progress is being made in the development of Framework Programme 9, after Horizon 2020 concludes – updates will be posted on the UKRO website, for members only. The GOV.UK useful resources for European Structural and Investment Funds has been updated along with the funding agreements and programme guidance. With Data Management Plans becoming an expectation of funders, including within European schemes, Elsevier has published a short article – How to create a good data management plan as part of their Authors’ Update. 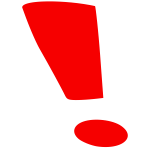 Remember – BU staff can register for free, via BU’s subscription, on the UKRO website to receive announcements concerning EU funding and other news, direct to your own inbox – make sure that you hear first! Please also refer to the RKE Development Framework Community on MyBU – for additional resources. All staff are pre-enrolled. Find out more all the sessions being delivered through the RKE Development Framework.